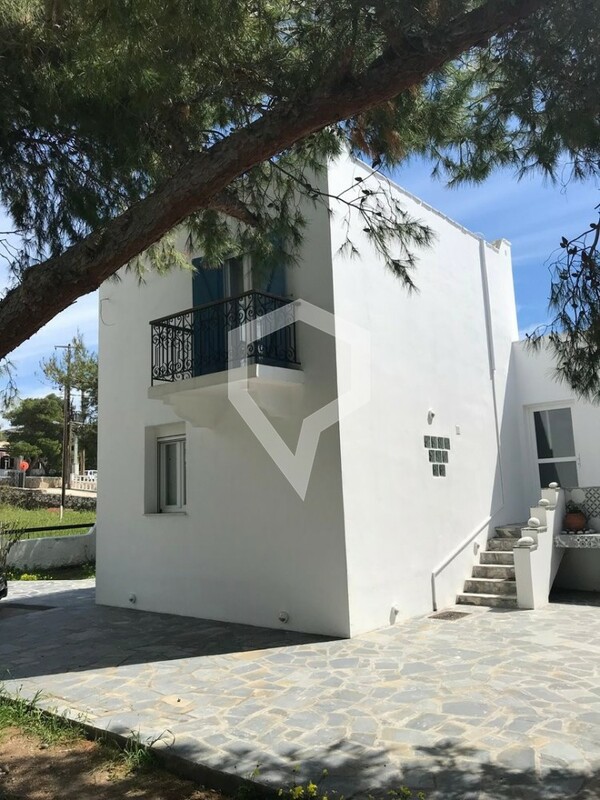 Luxury detached house on a plot of 700 sq.m. 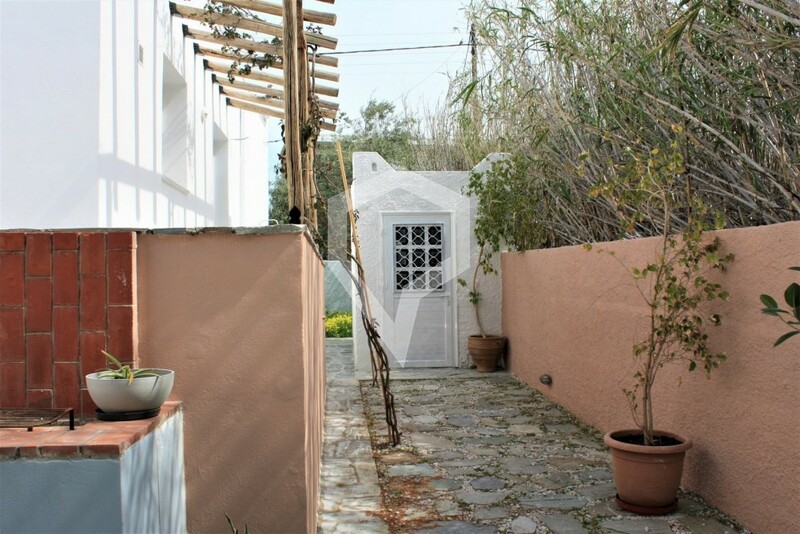 in the center of Posidonia just 140 meters from the beach. 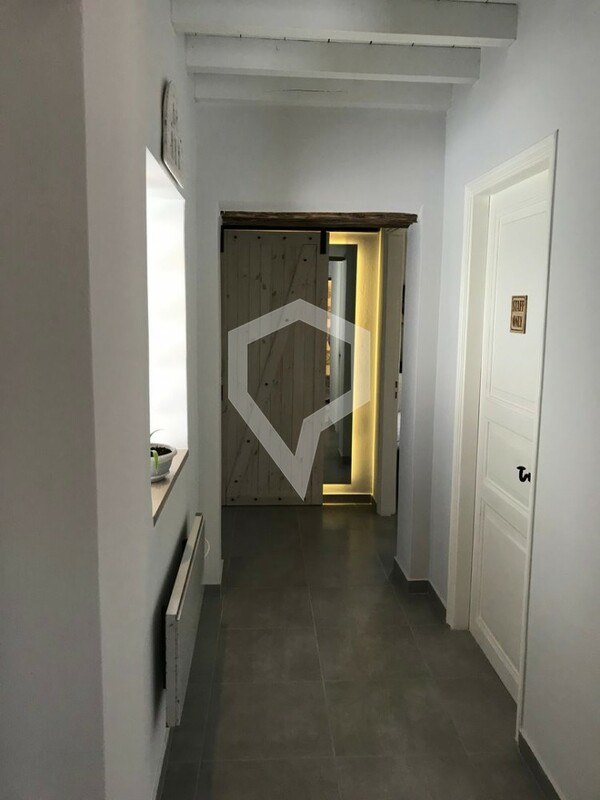 The house was renovated and completed in high standard in 2019. 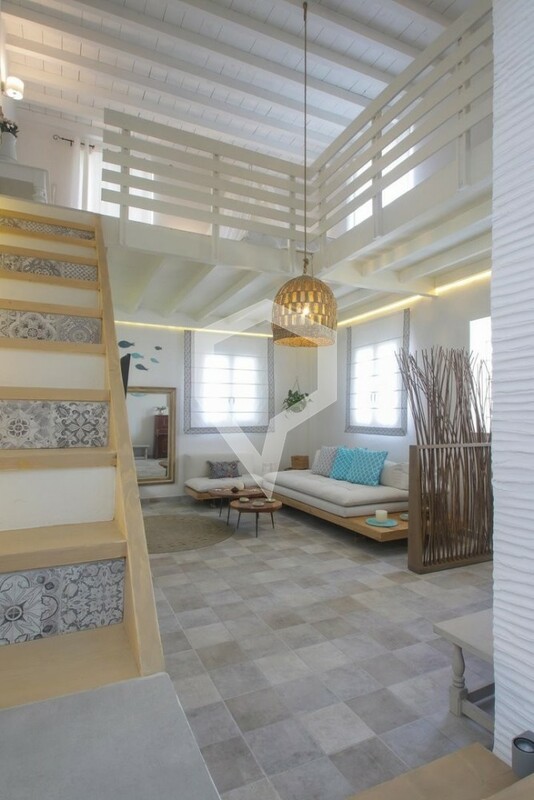 The house is 120 sq.m. 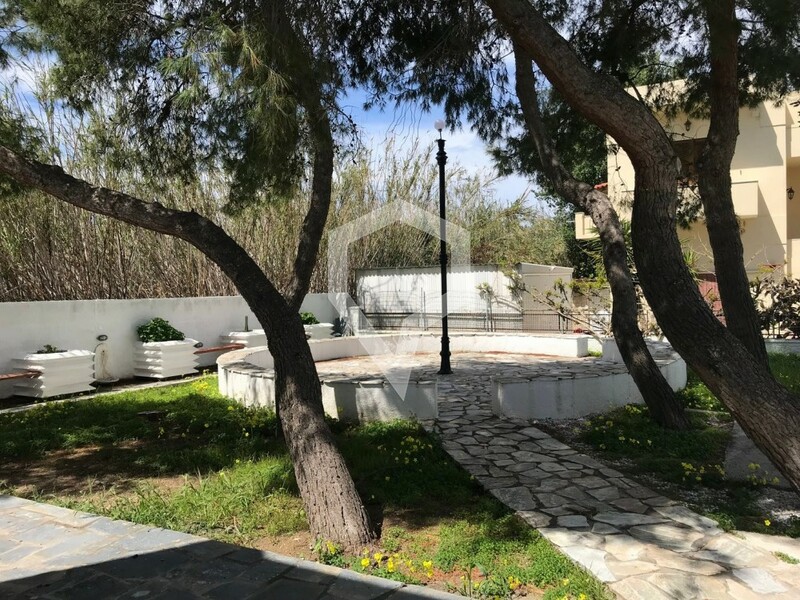 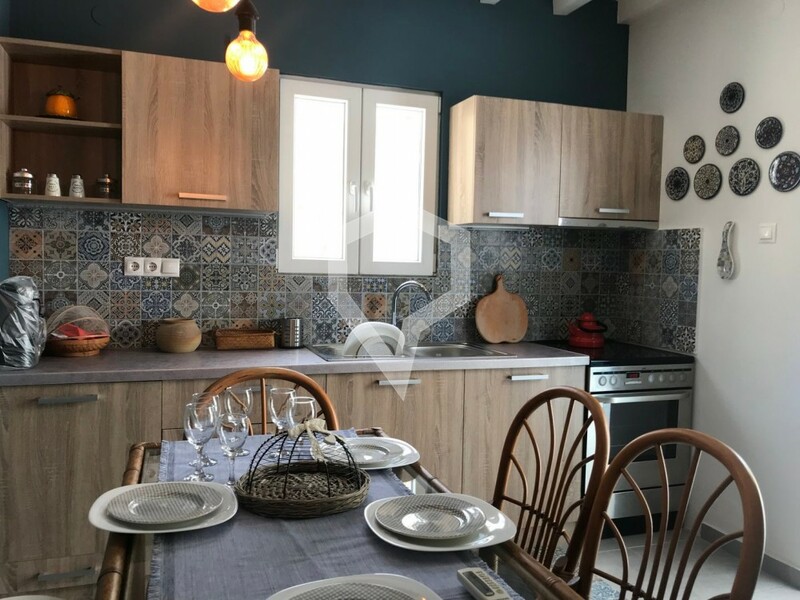 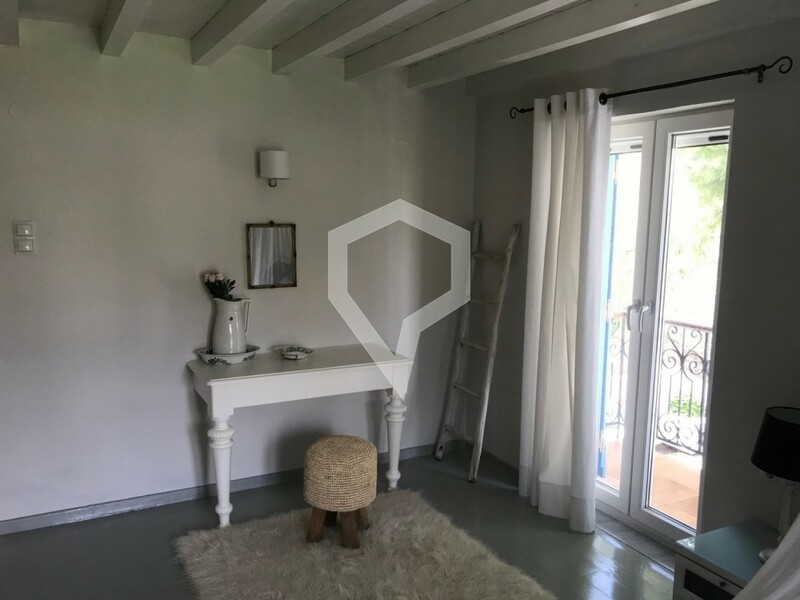 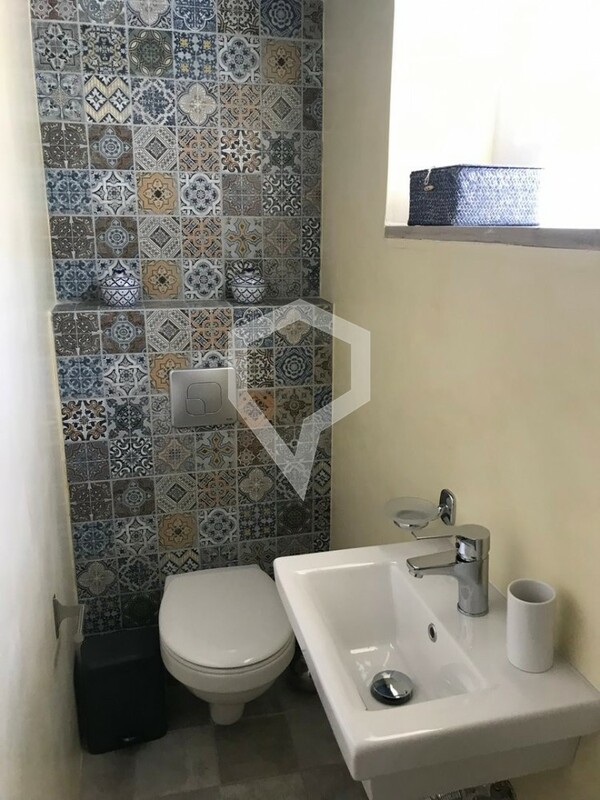 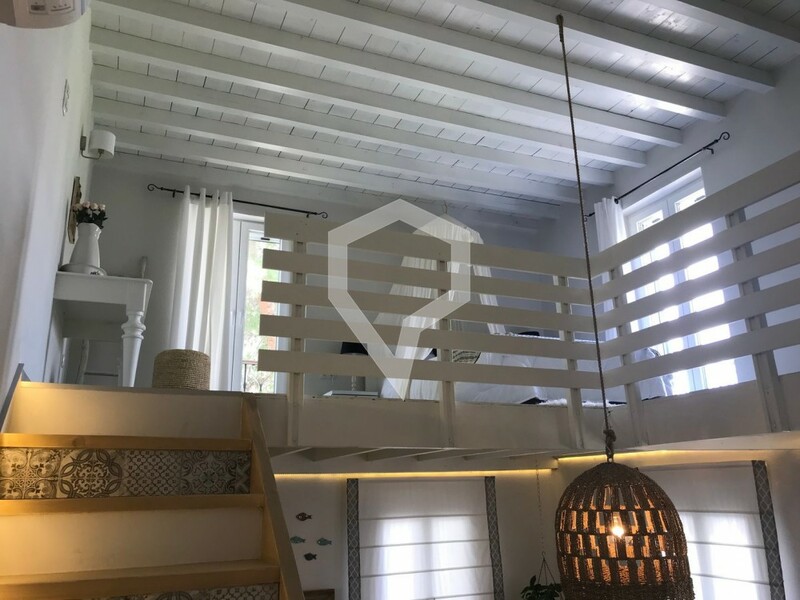 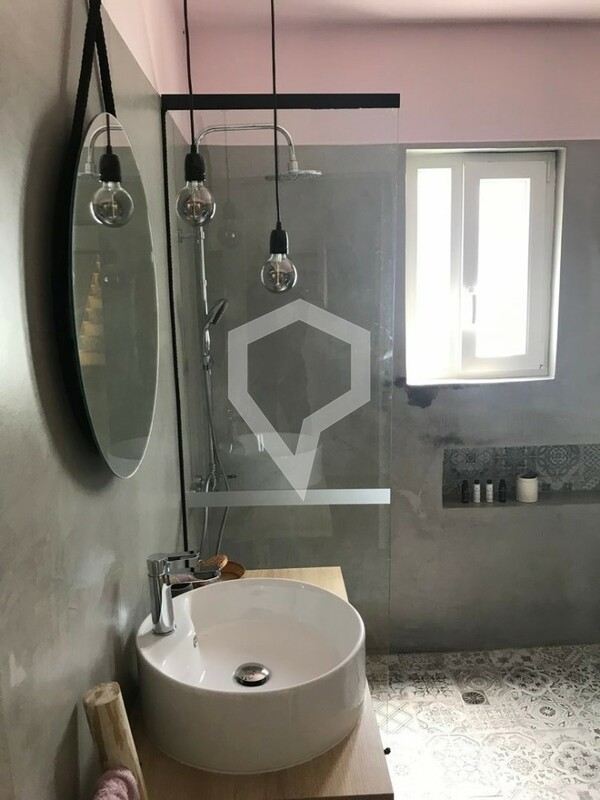 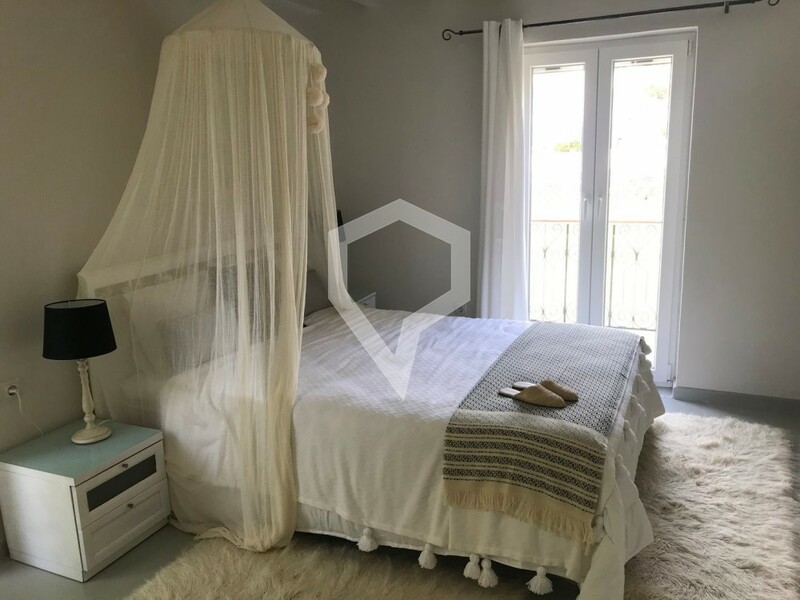 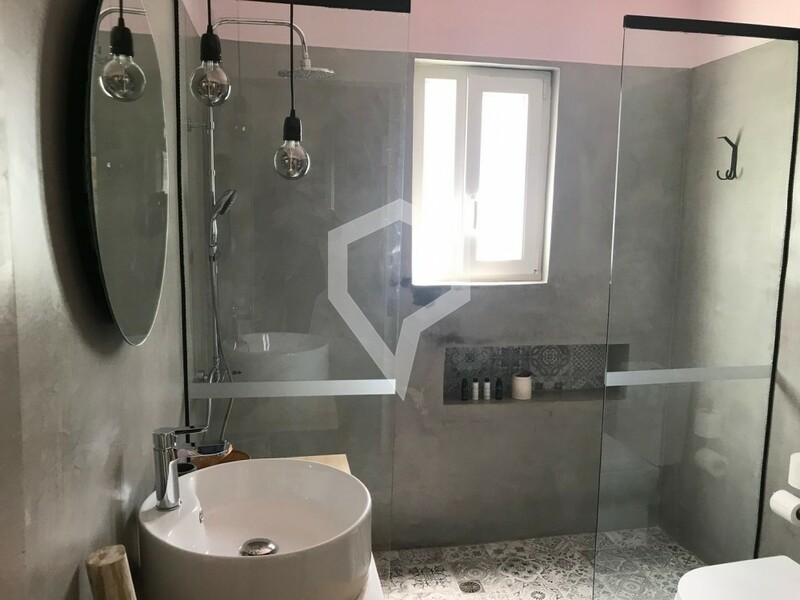 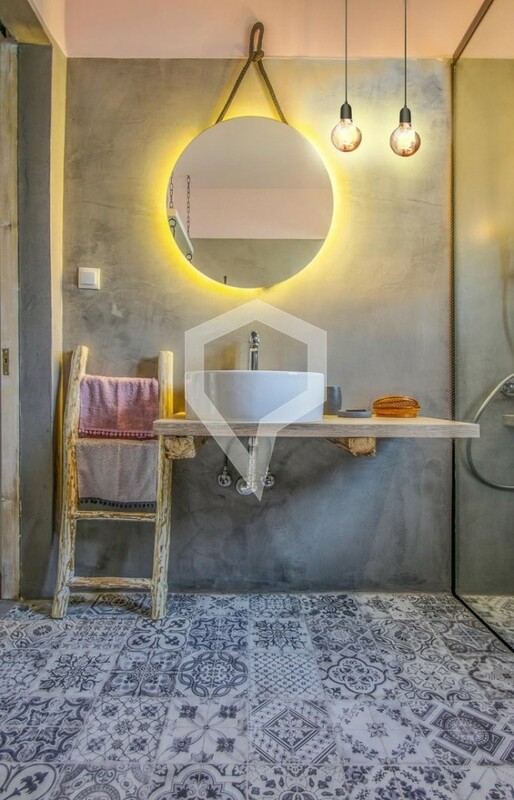 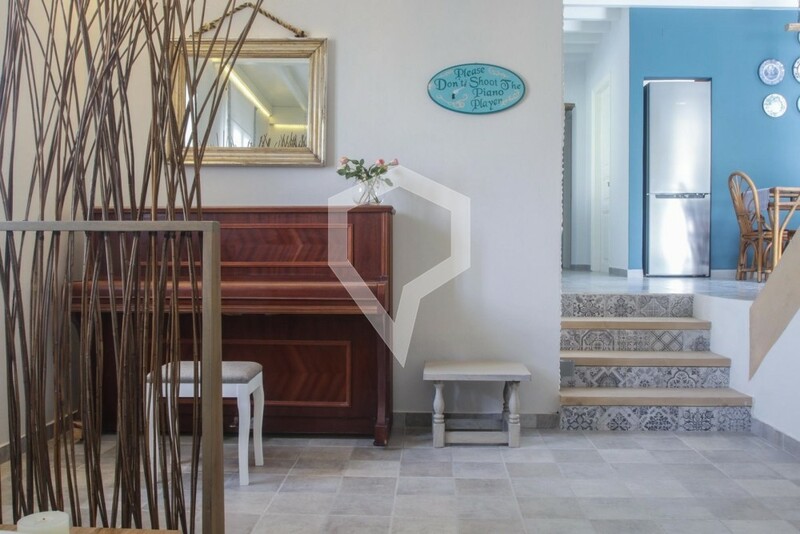 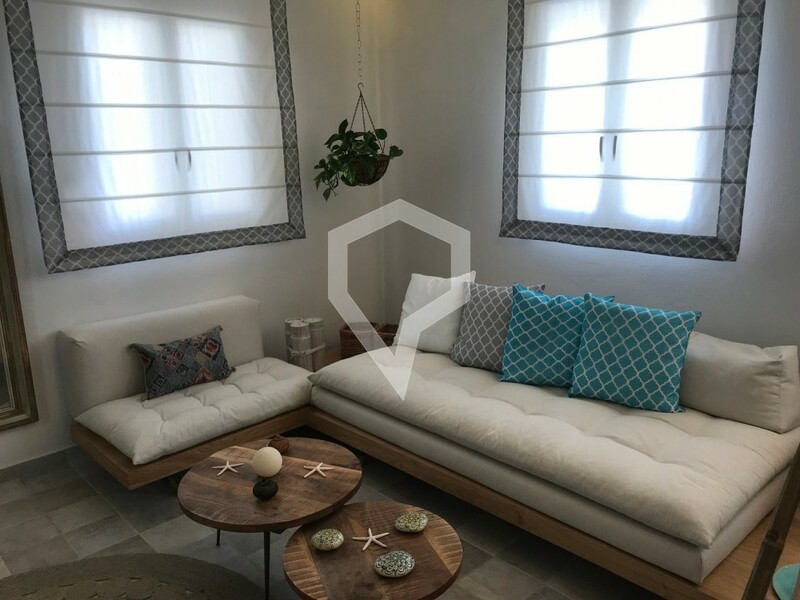 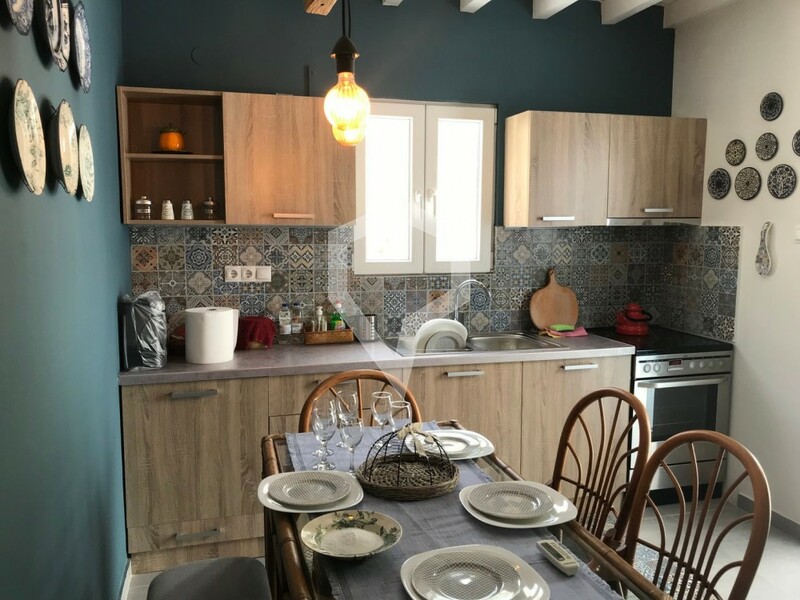 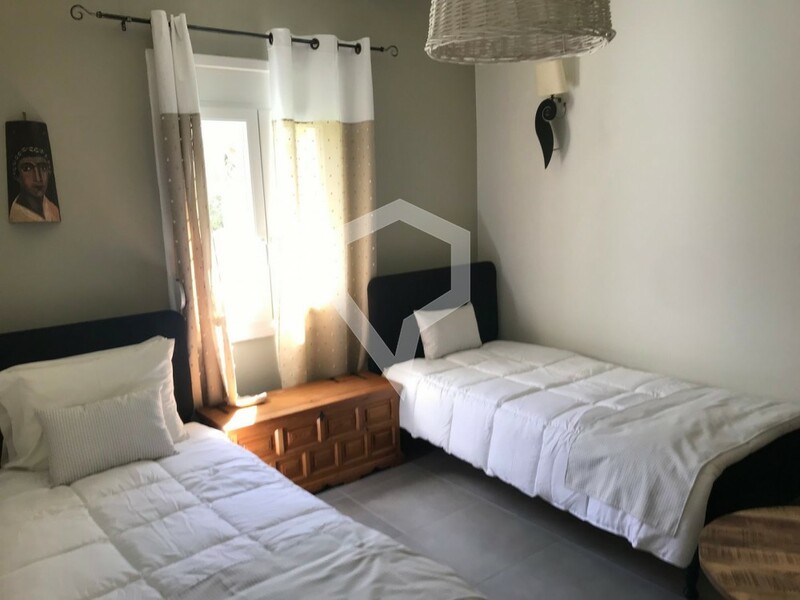 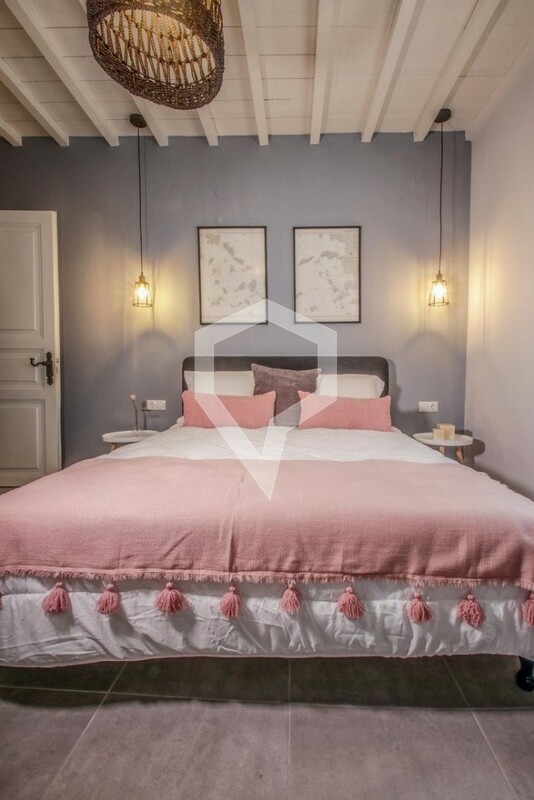 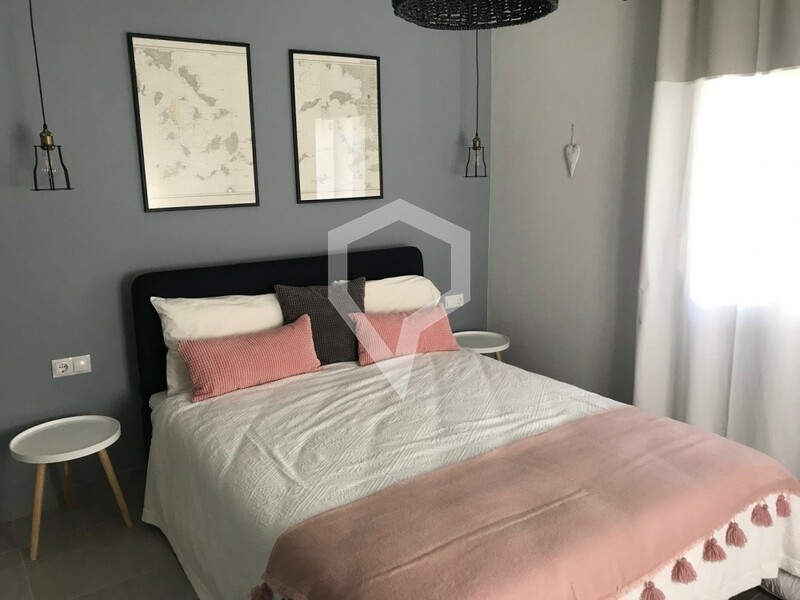 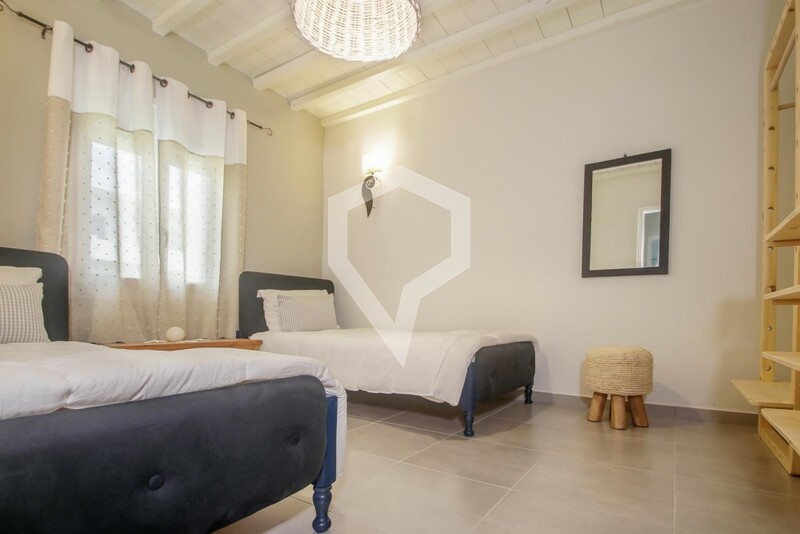 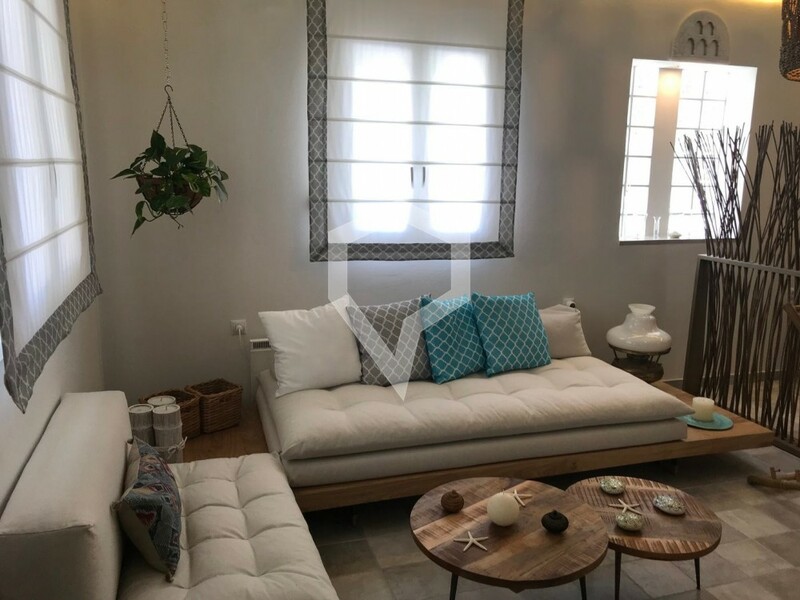 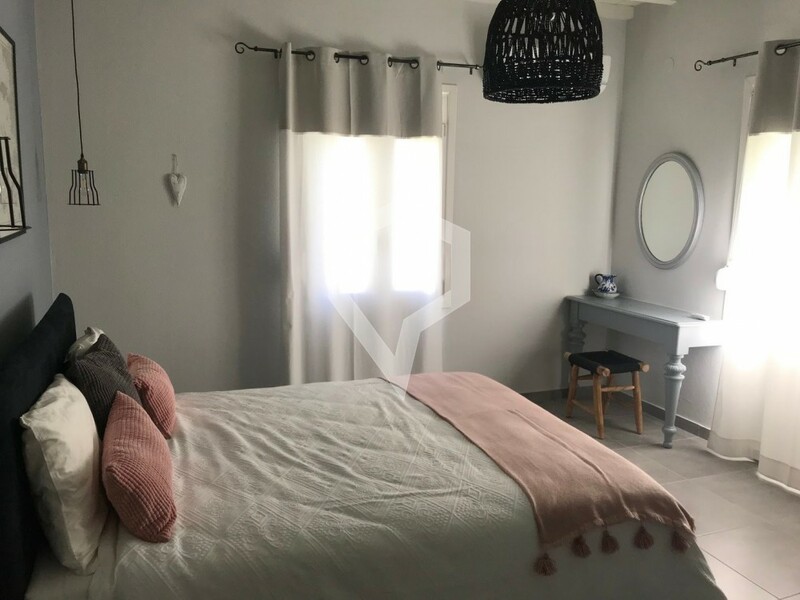 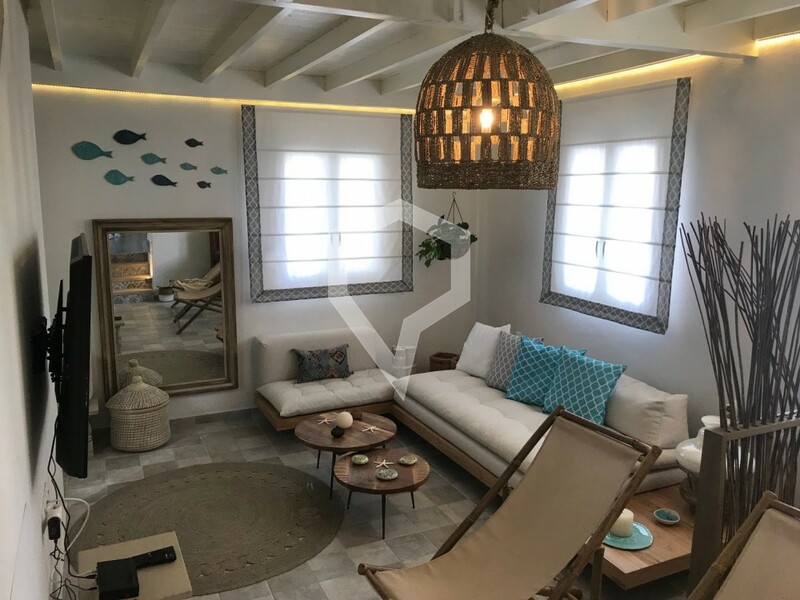 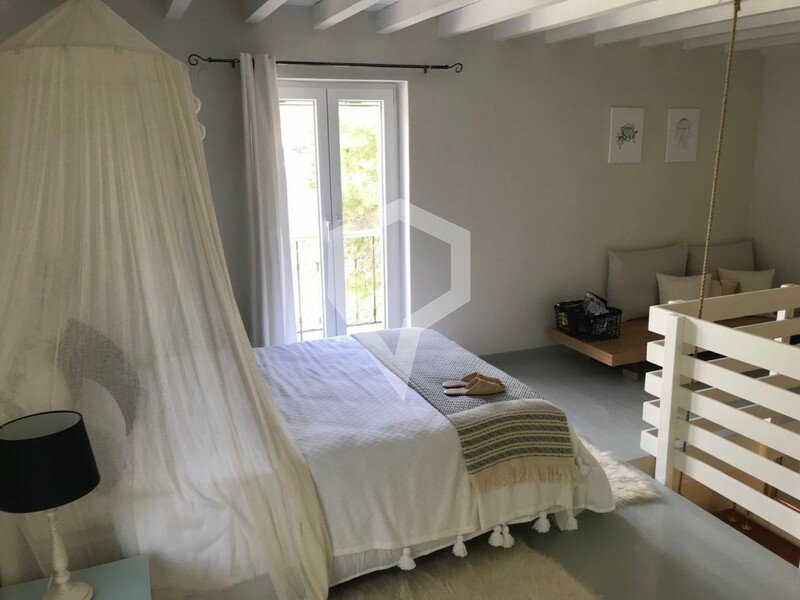 and consists of two bedrooms, a comfortable kitchen, bathroom, WC and a spacious living room, where a wooden internal staircase leads to a loft, which is formed into a bedroom. 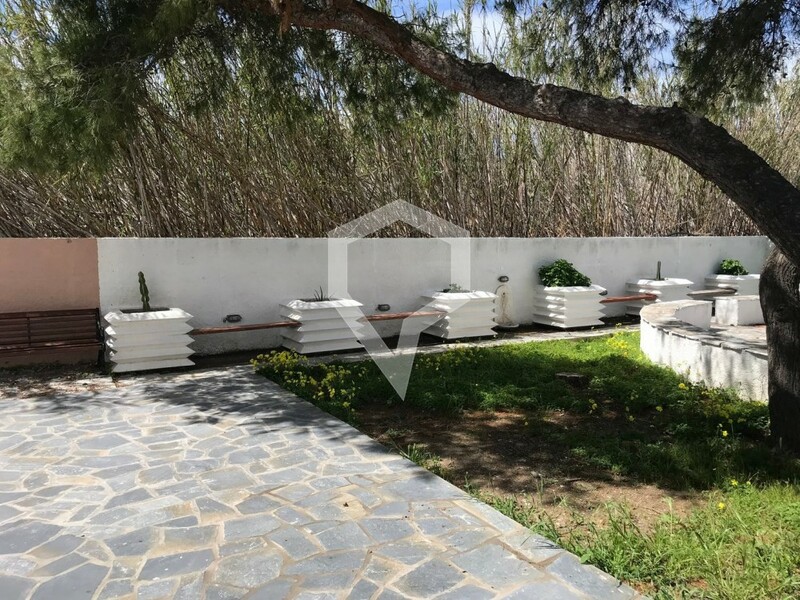 The garden is dotted with pine trees. 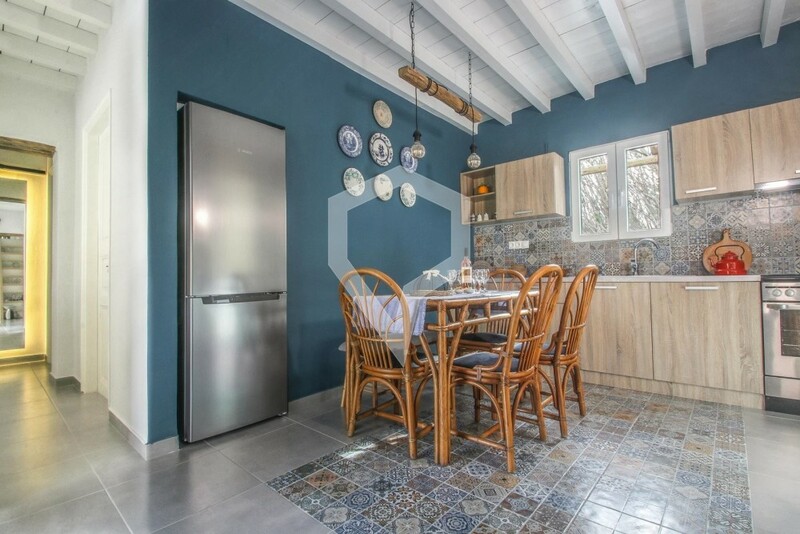 The location of the property and its features make it truly unique.